Two U.S. pilots tagged by Chinese lasers while flying over Djibouti needed medical treatment. U.S. forces fighting terror in the Horn of Africa are facing a new threat — lasers fired from the new Chinese military base in Djibouti. "Reports by the pilots indicated that on three of these incidents the lasers originated from the nearby Chinese base and the lasers were of military grade." The dangerous development comes as relations between the U.S. and China have been strained by President Donald Trump’s decision to slap up to $50 billion worth of tariffs on China. The Pentagon has about 4,000 people based in Djibouti at Camp Lemonnier, which is the primary base of operations for the U.S. Africa command and the only permanent U.S. military base in Africa. It is has served as the springboard for U.S. operations against jihadists in Somalia and Yemen. But last month the Djibouti government temporarily grounded all military flights at the base after two mishaps involving two U.S. aircraft on two different days. The Chinese, however, are new to the neighborhood. 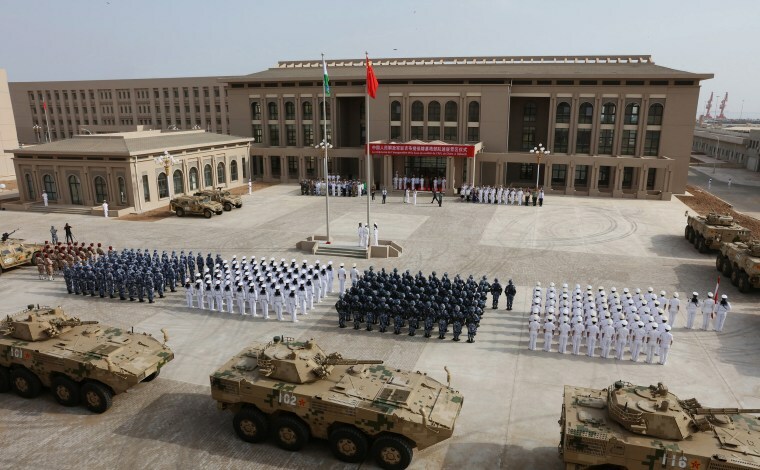 They opened their base in Djibouti last July and it is the first overseas Chinese military support operation — a clear sign of how strategically important this fast-developing but still poor Muslim nation of 1 million people is to the superpower.